Blogger has lots of features as like as blogger widgets, today our topic is how to add Author Profile Widget for blogger blog. As a blogger, you may have to know Profile Widget is so essential for a blogger identity carrying. It helps you to touch off yourself between your blog readers and It also helps your site look like the bourgeois. Recommended: How to add Social Media Widget for Blogger. Recommended: How to add Page Number Navigation Widget In Blogger Blog. 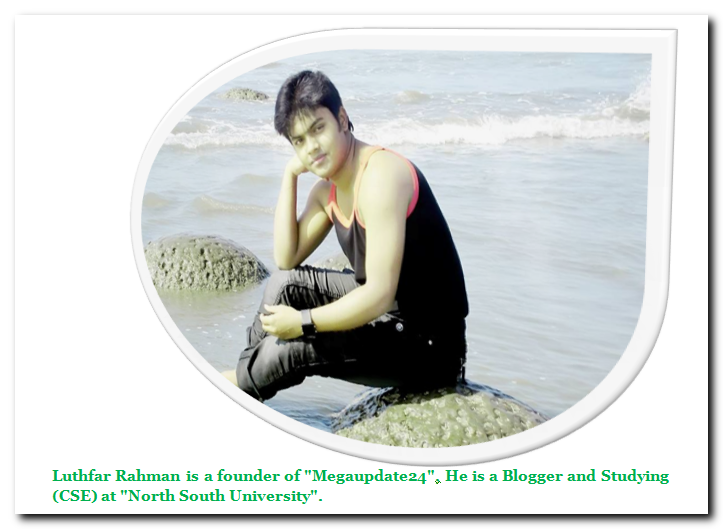 System Of Adding Author Profile Widget In Blogger. Follow these steps which are given bellow. Change Red Collor what you want as like as About me, About author or others. Change Orange Collor URL with your own picture URL which you want to set in the widget. Change Green Collor Text with your own bio. Change Blue Collor URL with your contract Page URL. Hopefully, now you are completely done for setting Author Profile in your blogger blog. If face, any problems for setting it must inform me via comment. I will try to solve it and don't forget to share this post in your social media timeline as like Facebook, Twitter, and Google Plus.